An unexpected double comeback: Collins combines commercial success with a concept record – and races up the charts all over the world. What is it with this album that is supposed to be an “old” album, a reminiscence, homage, something close to his heart…? There are several ways of approaching Going Back. If you are into the Motown repertoire, the Motown sound and Phil’s voice this album is for you! If you love Motown but are not really into Phil you may still want to give the album a spin. 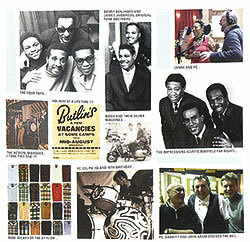 And if you like Phil’s voice but not Motown you could consider this a new opportunity to discover the unique history of Motown, the Funk Brothers and its songwriters’ cooperative. If you like neither Motown nor Phil there is not much point in you reading on, much less listen to anything from the album, of course. It was a long way. Many would describe it as a slow descent. He had a great start with the early works of Genesis and solo with a perhaps even more terrific Face Value. After that Collins despaired first of the attempt to maintaining this high level and later of regaining it. He had nearly blown it with Testify. He had to get out. He could have stopped. 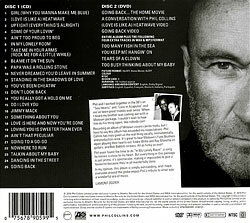 But Phil Collins went back – he recorded 29 cover versions of various Motown classics. Going Back is a bit of wavering. Respect for great songs is coupled with a reluctance to produce new songs of his own. The idea for a cover album came from his manager – and Collins was hooked. Many of the songs he chose are, strictly speaking, no classics but rather insider tips a.k.a. single B-sides. Okay, Collins and Motown – we have had that before. You Can’t Hurry Love or, if we stretch it, Two Hearts and Loco In Acapulco, were not these catchy songs in the 80s? Going Back is different, though. It is a declaration of love to an era wrapped up in a concept album. The concept? “I have re-painted the Mona Lisa”, says Collins. That is it. Collins does not even try to give the songs his own flavour – he wants them to sound just like back then. What better way to achieve that than inviting an illustrious group of Motown legends? 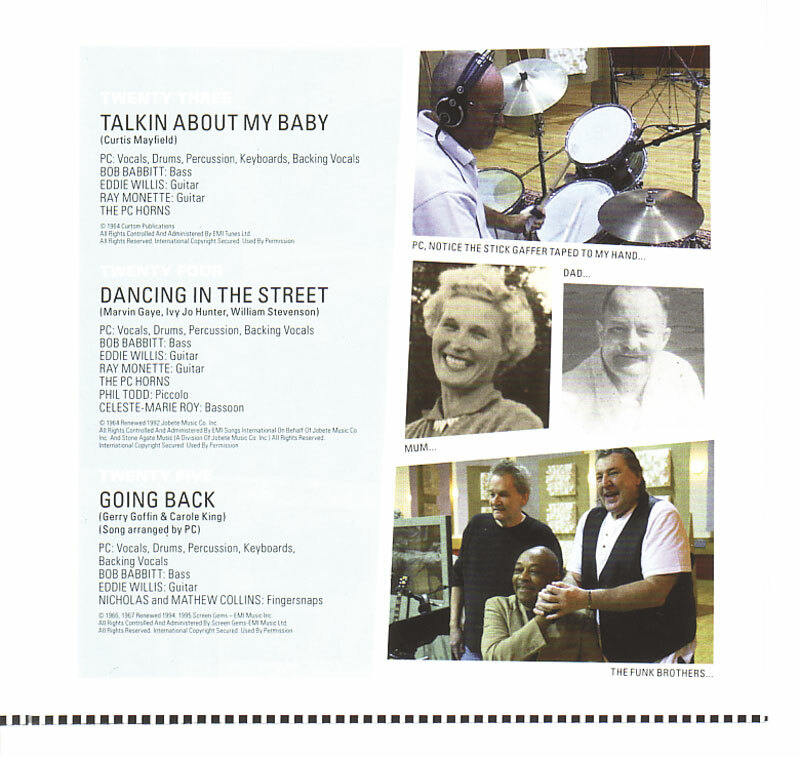 Ray Monette, Bob Babbitt and Eddie Willis, members of the legendary Funk Brothers, are the musical core of the project. These elderly gentlemen, marked by long illnesses, did not have to be asked twice. 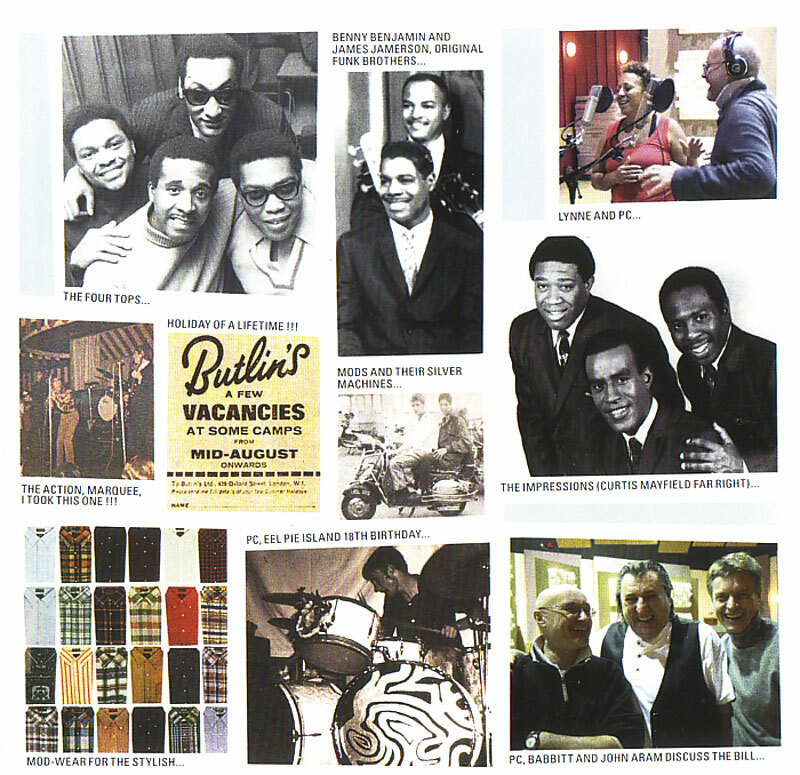 Going Back became a very special, very emotional project for the Funk Brothers as well as for Collins. The ones were pleased as Punch that a legend like Phil Collins appreciates their life’s work, and the other was chuffed to bits that the heroes of his youth are playing the songs he used to listen to, the songs that influences him – with him and on his own album. When the problems of the concept and the musical structure were solved Collins had to find the answer to the most important question: “Can I still do it? 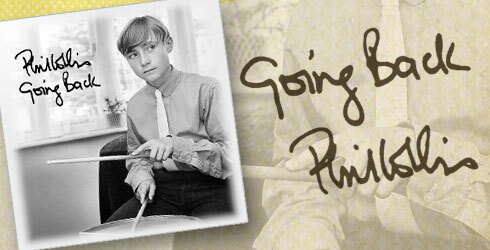 Can I drum at all?” His co-producer Yvan Bing (also a drummer) accompanied Phil through a labourious process during which Collins felt as if he had to learn how to play the drums all over again. The reason for this is an injury of the vertebrae he suffered during the Genesis tour in 2007 and limited his ability to move freely. To this day Phil feels little in his left hand and cannot hold things. Collins struggled through and received praise from his fellow musicians for the effort in the end. Picking the songs was another issue. The album has 18 songs, there are 25 songs on the Special Edition with another four as bonus tracks on the DVD. Many other songs were at least considered. The final list consisted of 44 songs. Phil decided against favourites such as Reach Out I’ll Be There and focused on gems like In My Lonely Room. He did not only choose songs that had originally been sung by a man but also picked songs by women. Collins had distinct ideas about the sound and was not prepared to compromise. The album was to sound old. Like back then. It is a big peculiar: Collins has the best studio technology available, but he keeps the production small and distorts drums and voices to recreate the old feeling. Yvan Bing has, as the liner notes have it, “lo-fied the album”. The man at the mixing desk is not the only new man in the team. Collins has hired a whole bunch of new people for the project. The Funk Brothers we already mentioned, then there are Ronnie Caryl, Connie Jackson and Lynne Fiddmont (the only “usual suspects” from Collins’s last tour). The horn section consists of first-rate jazz musicians like Guy Barker, John Aram, Tom Rees-Roberts, Phil Todd and Graeme Belvins. Jason Rebello is another world-class musician on the piano. There are also occasional strings on the album. It would be wrong to go discuss each track individually though the album is a compilation of potentially great songs. Going Back tempts you to skip, jump back, leave out, re-sort and hear again. It is a playful album, and the listener can take up this offer. The first song makes it clear: This is pure Motown, little Collins, lots of Funk Brothers. Actually, is not so little Collins for the music fits him. The common element is Collins’s penchant for the short pop song and for brass groups. There are few ballads on the album, of course no typical Collins ballads, though perhaps the title song could be one. The album rushes from song to song, it all seems doubled and repetitive, but it is entertaining and good fun. 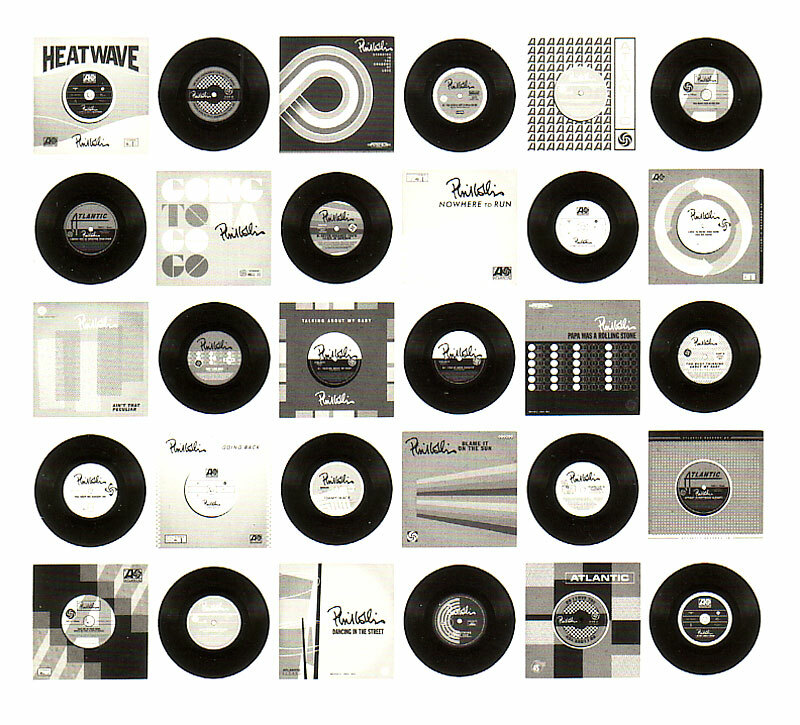 Some songs like (Love Is Like A) Heatwave do not really work but become the single anyway. Other songs like Standing In The Shadows Of Love, In My Lonely Room and Papa Was A Rolling Stone take your breath away. Add to that a rough and aggressive Ain’t Too Proud To Beg and a slightly helpless Take Me In Your Arms. Collins does not even try to make it all perfect and correct every mistake. It sounds the way it sounds. If it sounds peculiar then so be it. He yells into the microphone and the voice is distorted. Good. Just like it used to be. Collins has a good time, and he even has a go at Dancing In The Street and You Keep Me Hanging' On. The latter is fantastic, the other an uphill struggle. Another interesting thing is the fact that the Mechanics have covered You’ve Really Got A Hold On Me and Ain’t That Peculiar was also played by Peter Gabriel. Collins, however, is the one who gets it right. Though cover versions of Ain’t That Peculiar usually sound rather peculiar Collins does a spectacular version. Rarely does an artist surpass an original with a cover. Here he does. At other times he comes close, but he also fails at times of remains noncommittal as in Some Of All Your Lovin’ and You’ve Been Cheating. Jimmy Mack transcends generation bounds – Collins’s youngest songs assist him with the stomping noises. The bonus DVD has a fine version of Tears Of A Clown while Going To A Go-Go is only so-so. You find yourself jumping to and fro and soon realize that owners of the Special Edition have got the better deal. The ballads are serious. Collins manages to cast a spell one would not have thought was still in him. Blame It On The Sun is a good example, perhaps also Never Dreamed You’d Leave In Summer. The finale is the title song, the song Collins fans will probably like best. It is a good finale but by no means the best song on the album. Collins wanted to have an emotional ending for the album. His vocals are excellent. Collins has been criticized a lot for his singing in recent years, but on Going Back he sings better than on many albums he has put out before. 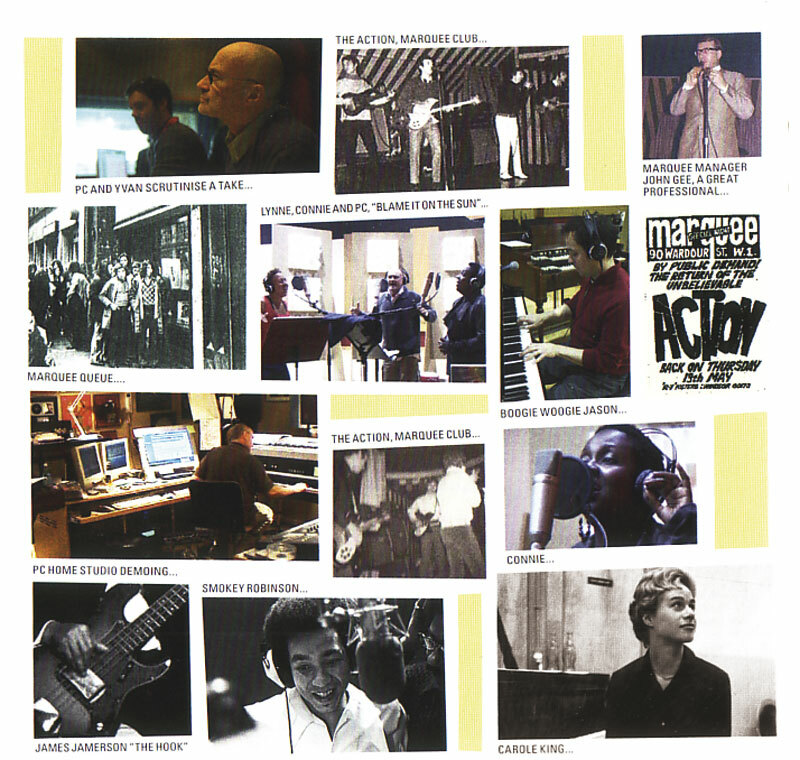 The album’s strength and weakness is the deluge of songs on the Special Edition. It is difficult, nay, more or less impossible to listen to and take in 25 or 29 songs in one go. But the selection of songs is impressive, for Collins leaves it to the listener to deal with it. Anything is possible with mp3 players, and that means that the album leaves nothing to be desired: After all, Collins has released all songs from the sessions. The bonus DVD contains two documentaries. One of them is an interview while the 90 minutes of the documentary proper provide lots of background information. 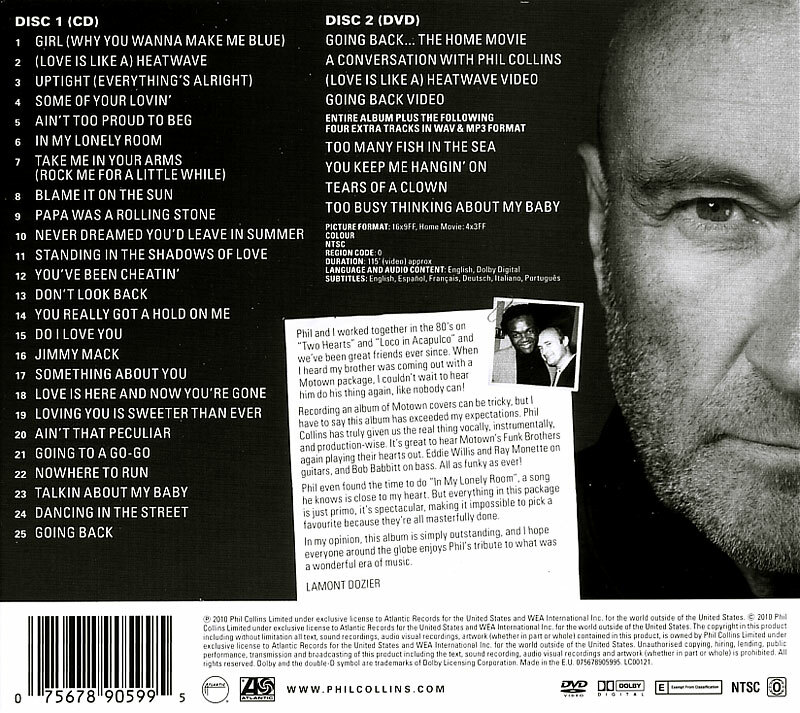 It is an emotional journey through the development of the album, offers intimate glimpses at Collins’s studio in Switzerland and accompanies Phil Collins as he is struggling for his musical identity. 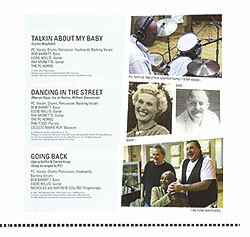 If for nothing else, it is worth getting the Special Edition in its attractive digipak for this documentary. The visual extras are complemented by the eleven bonus tracks mentioned above. Going Back has as much in common with Genesis as penguins with the Sahara desert. It would be charming, but they do not really go together. Getting into Going Back may prove hard work if you love particularly the early years of Genesis. Going Back is an album for those who enjoy playful music, catchy 3-minute songs – and for fans of an oeuvre that may well be complete with this album. If Going Back really is Collins’s last album we have to congratulate him: The Rolling Stone is going out on a limb to praise the album, Frankfurter Allgemeine Zeitung [a newspaper with a reputation for music critics who usually do not like what they write about] hails it as the “CD of the year” – eight years after Testify Collins has become cool and receives recognition he has not had in the last 25 years. The commercial success of Going Back is just the cherry on top. Collins’s journey may end on a conciliatory note. He grew up with Motown, made an impact on progressive rock, indulged in his fusion hobby with Brand X, defined the drum sound of the 80s, wrote Face Value, one of the best albums of the 80s, had lots of hits, Grammies, an Oscar, he starred in movies if he felt like it, wrote sound tracks for Disney and a musical, had his own big band and played with countless famous musicians. All that is a thing of the past and it is not important to Collins anymore. He wanted to go back, do this Motown thing and have some peace and quiet. He would have done this album without his record company. It is a good album, his best in quite a while. So catch him if you can, he’s going back.